When Korg released the MOSS board, they had a great idea. It's a programmers dream come true. The only problem is that if your not into programming your own sounds then it's a bit pricey to spend over $500. for only 128 new patches. 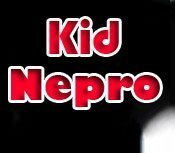 Kid Nepro has been getting lot's of calls and e-mail asking us to support the MOSS board so a little while back we purchased one to create some new sounds. All we can say is WOW! This board is very impressive. We have been programming sounds for many years and have never heard anything quite like this. Combining the MOSS's thirteen different oscillator options along with the Tritons arpeggiator and effects section makes for some very interesting patches. Totally unique. You will not be using these sounds on your next club date or pop album. However, if your doing Soundtrack work or Classic Synth trax this is just what you need. Vol #7 consists of 128 new programs. It's a mixed bag of sounds that ranges from classic analog synth textures to soundtrack and film special effects with a bunch of funky rhythmic textures thrown in. The MOSS special #1 has a great deal of rhythm patterns which we have named rhythmic "grooves" or "riffs". These patterns can easily be the starting point that you can use to create your next track with. We split the rhythmic sounds and sustained sounds in half. There are 32 rhythmic textures and then 32 sustained sounds. Then repeated that for the last 64 patches (more or less). Many of the sustained sounds (especially the pads) take awhile to cycle though the loop so hold the notes down until you get the feel of how the patch should be played. The MOSS is only a six voice instrument and we did not create any combination patches. Combinations quickly use up many voices and would not work well with only six voices. For this reason Vol #7 is priced at $35. instead of the usual $40.